Home » Questions » Truggy » Truggy print BOM? OpenRC Q&A › Category: Truggy › Truggy print BOM? 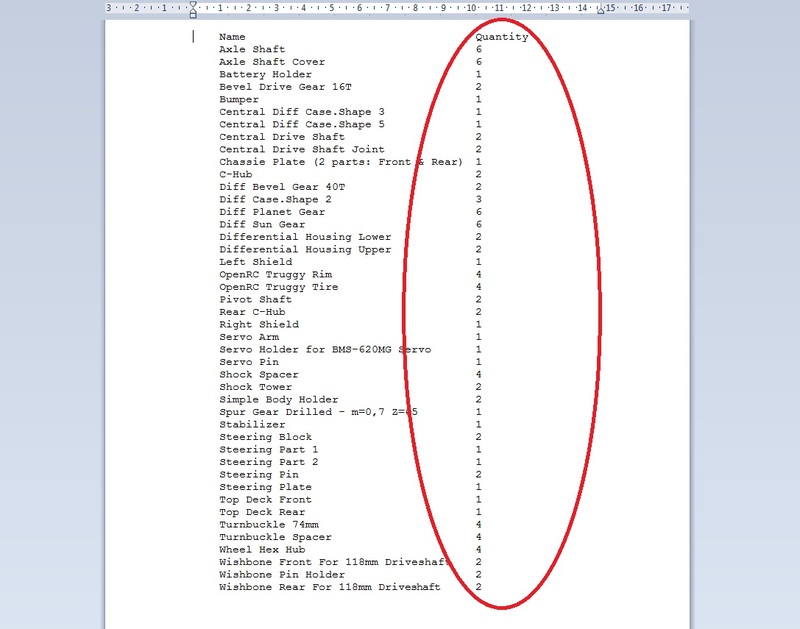 How can I see, how many times I have to print a certain thing? For example, I know, that I have to print the rims 4 times. I assume, that there are other parts, that has to be printed more than once. Depending on what software you use to view the csv, it seems that it can sometimes be distorted, sorry about that.